Want to learn about Drones? – We’re talking about drones; Commercial, racing, and education opportunities – come join us on Weds, March 6, 2019, at 6:00 pm in downtown Long Beach. Three experts have volunteered to talk to us about drones and how they are used in commercial, racing, and educational applications. Dan Lundmark, SWFT Aerial Robotics, will talk about Drone Racing – he just sponsored a meeting this past Saturday of about 50 racers – amazing to see in action. Will Chesher, certified UAV flight instructor, will talk about how he is using drones to help teach high school kids as part of UAS4STEM. He coaches a local high school drone team (two time Calif champs)(http://amablog.modelaircraft.org/uas4stem/). The Long Beach Tech group meets monthly to showcase cool tech projects, share ideas, network, help newcomers, and build the Long Beach Tech Community. Long Beach Tech meetup is getting restarted. Come join us on Weds, Jan 30, 2019 at 6:00 pm in downtown Long Beach. The Long Beach Tech group will meet monthly to showcase cool tech projects, share ideas, network, help newcomers, and build the Long Beach Tech Community. David Green will share his work with Altered Mechanics (https://alteredmechanics.com) Altered Mechanics builds hyper immersive, full motion, mixed reality experiences. Come connect with LBTECH! Mingle with those who are shaping the tech industry in Long Beach. The hours of the meetup are 6:30 pm – 9:30 pm. 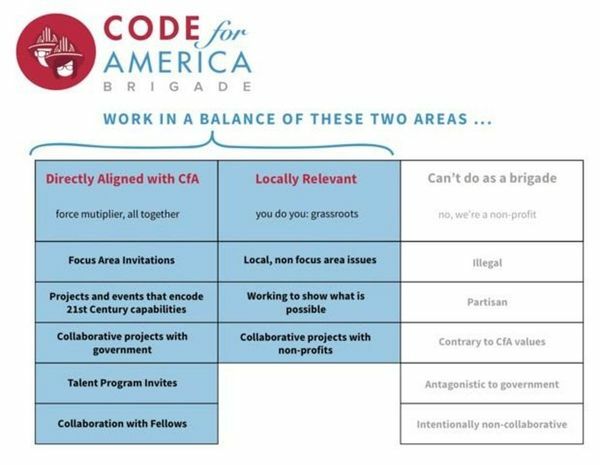 Get together to learn about the purpose of the Long Beach Code for America Brigade, and ways you can get involved as a volunteer or in leadership. There is a national agenda, and we can work together for a local agenda that fits the needs of our community. If you have time, talent, or passion to use your skills to make a positive difference in Long Beach, come out and see what is possible! Types of roles possible are: Captains, Delivery Leads, Community Organizers, Developer Evangelists, fundraisers, coders and designers. Over the coming weeks we will collaborate to develop a strategic plan for Long Beach and encourage diversely representative members of our community to get involved.